Achieving the best performance in the AH+ System Level Measures Programme in 2017-18. Achieving the highest number of sore throat swabs for Rheumatic Fever Prevention in 2017-18. Innovative approach to ‘Optimise Performance’ and meet the needs of their enrolled population in 2017-18. Highest number of DARs & patients with a HbA1c <64mmol/mol AND the top 10 for triple therapy and microalbuminuria management in 2017-18. For achieving the second highest overall rate of cardiovascular disease risk assessments - 95%. 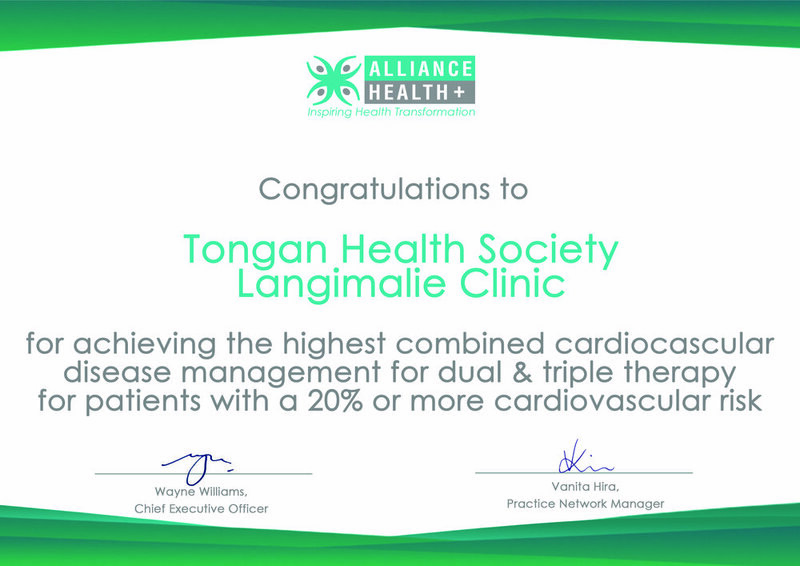 For achieving the highest combined cardiovascular disease management for dual & triple therapy for patients with a 20% or more cardiovascular risk. In recognition of excellence in clinical teaching of undergraduate nursing students 2017. ADHB records show that out of the Alliance Health Plus volume for the three month period November 2015 - January 2016, THS completed 87% (202) of the number of children with sore throates assessed, of which 77% (103) met the criteria for this free service. The significance of the THS performance is reflected in the performance of the next provider, who completed 64 assessments only. Consistent High Performance and Service to the Community 2014-2015. The AUT Excellence in Business Support Awards are the only national performance measure for New Zealand business support organisations. The Primary Healthcare Nursing Award acknowledges a Registered or Enrolled Nurse who goes above and beyond expectations every day. This Nurse is expected to demonstrate leadership, innovation and whole of system integration by working in partnership with patients, their families and the interdisciplinary care team, enabling self-management and improved health outcomes. The Community Service Medal recognises an outstanding contribution to general practice undertaken within the member's own community.